You’d be forgiven for thinking that the sleepy Northern Cape town of Sutherland is not in South Africa. This weekend the usually frigid settlement became a winter wonderland more akin Siberia than the outer Karoo. A strong cold front, which plunged much of the Western Cape into a live action scene from Frozen, also dusted Sutherland in snow. 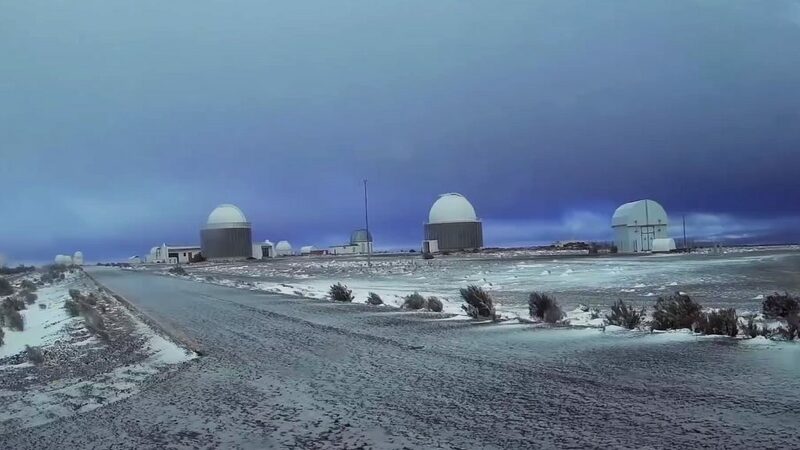 The scene, shared by the South African Astronomical Observatory, was captured by Willie Koorts and shows just how desolately beautiful Sutherland is, even in the midst of a snowstorm. “On the morning of 26 August 2018, people at the South African Astronomical Observatory woke up in a fairy wonderland with the Observatory covered in a light dusting of snow,” Koorts writes in the video’s description. You may want to put a puffer jacket on before viewing the six minute clip below.